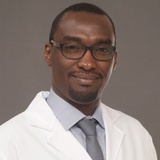 Dr. Elsadig Mohamed obtained his MBBS from National Ribat University, Sudan in 2010. Dr. Elsadig started pre-internship training in Orthopaedic and Trauma Department at Ribat University and completed his 12 month internship program in 2012. He has more than 6 years of experience as General practitioner with key focus in Emergency, Intensive care and Internal medicine in Sudan, KSA and UAE. Dr. Elsadig can converse with his patients in Arabic and English.